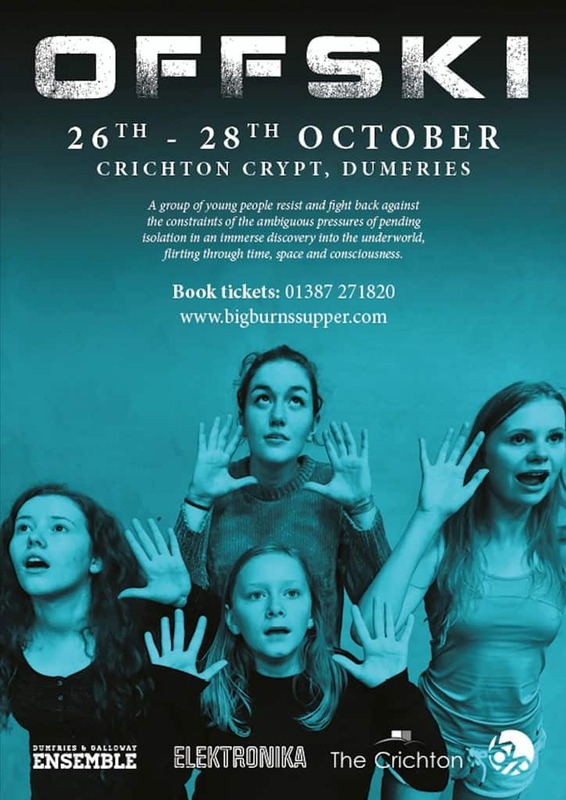 A new theatre production by the region’s first youth led performance group, Dumfries and Galloway Ensemble, is set to take place in the historic Crypt at the Crichton Church. Last month, over 30 young people from across Dumfries and Galloway took part in a 3-week performance intensive to create, design and produce a new piece of theatre called Offski as part of the celebrations for Scotland’s Year of Young People 2018. The youth-led performance ensemble recently announced that the site-specific theatre piece will take place in the underground crypt of the Crichton Church at the end of the month, with multiple performances scheduled on the 26th, 27th and 28th October. It will mark the very first time that the space has been used for a theatre show since its construction in the early 1800’s. Young people from across the region, hailing from Kirkcudbright, Annan, Gate House of Fleet, Sanquhar, Dumfries, New Galloway, Castle Douglas, Dalbeattie and Lockerbie all contributed to the shape and design of the project. They were mentored in a range of disciplines and producing skills which range from play-writing, choreography and devising to technical management and directing. Four young Associate Producers from Dumfries and Galloway are leading the immersive theatre project, helping to position themselves as the next generation of young producers in Scotland. Offski is based around the imminent exit from the European Union, and how this might be viewed not only by Scotland and the world in 2018, but by the generations who came before us. Tickets to the performance are now available from www.bigburnssupper.com and entry is free of charge. The project is produced by award winning theatre makers, Electric Theatre workshop, producers of Big Burns Supper festival, Carlisle Fringe Festival, Le Haggis and Dumfries Youth Theatre. Trust and is sponsored by Dumfries & Galloway College and the Crichton.